oh I liked the description, and that was what I meant. But Henry just doesn't seem like he has any claws yet, as I said maybe that comes later. Also they imply Cromwell is a viper going round destroying people but all I have seen is a very fair and practical man doing a tough job. he constantly tries to save people from their stupidity or stubbornness as in the case of Moore. He is a sympathetic character very much his own man and doesn't toady. it makes Henry seem like he is under the thumb of Anne at the moment maybe the scary bit will come later. I think the fact he seems very fair and practical is part of the viper cunning the King has spotted- by a strange coincidence often doing the fair and practical thing somehow also seems to elevate Cromwells personal position, put important people in his debt or into positions where they can benefit or secure his own position. It strikes me as a rather believable portrayal of how someone from his background got so high up the class system, even those close to him can't tell if he is acting out of their best interests or his own. And sometimes it might be both. yes he is cleverly manipulating his enemies, he uses their own sins against them as it were, if they are proud he uses that pride to destroy them etc, but he isn't malevolent like a viper. But its Henry himself that doesn't ring true for me. its Henry who lacks the claws. I think that may change in the next episodes. Well Henry is all loved up at the moment. And he clearly listens to his Queen, as she is a pretty fierce determined sort that one and I suspect not easy to live with if you dont back her up publicly. I think you can see that in the scene where she orders Moores arrest, and Cromwell clearly thinks it a bad idea, and so does Henry, but he wont refuse his Queen in public like that so he goes along with it. I started reading the book and now I know why he is so impassive. its an actual thing, its called 'arrange your face' its the 16th century version of Poker Face. the book is great, if Terence Malick ever wrote a book it would be like this I think, its very impressionistic. ...Given the wealth of material so near at hand, I was eagerly anticipating David Fincher’s adaptation of the brilliant 1990 BBC miniseries House of Cards when it debuted on Netflix two years ago. At last we would see biting, eminently British political satire applied to an American milieu. With Season Three about to begin, it’s safe to say that this hasn’t happened. The U.S. version of House of Cards is sleek and often intriguing, but by now it has made clear that its specialty is melodrama, not satire. The show’s chief writer, Beau Willimon, and its star, Kevin Spacey, have slowed the pace and solemnized the spirit of the briskly malevolent original. Gone is the jaunty, triumphal bombast of the British theme music as an aerial camera spirals in on Westminster. The new opening is a glowering nocturnal vision of Washington, set to dread-laden strings and synthesizers. As our diabolically crafty protagonist schemes his nefarious schemes within the confines of the Beltway, the theatrical stature and sardonic wit of his London predecessor have given way to a more conventional portrait in menace. This is a show that intends to be taken seriously—and is all the less serious for it. I didn't watch enough of the UK version to say how true this is, but it was definitely less dark and dreary in its presentation. And I do think that the American House of Cards takes itself too seriously for its overwrought and at times ridiculous plot to handle. It's still a fun show most of the time, but more as a pulpy thriller than a work of lasting insight or biting critique. Although I do know some people who think it's a stirring condemnation of contemporary politics, but ... no, the flaws of our actual political system are far more mundane and largely institutional. I gave up on it half way through its second series. It is a shallow, lot less fun version of the original with a main character who is less engageable, and importantly less likeable. In the original part of the guilt of watching is how much you enjoy seeing him do bad things, the viewer becomes complicit in the actions of the character. This is done directly sometimes, fourth wall breaking. When he gets elected in the UK version there is a scene where he is in his chauffeur driven car and talks about how people wanted a strong leader, before addressing the camera and audience directly and saying and asking 'you did want a strong man' which you the viewer did want as its so much fun watching him in action, whilst at the same time it brings into question just why do people vote for particular people- how did people vote Hitler into power? So I think the US version is less brave, less clever, less satirical of the system it set in and less fun. I agree with their assessment on the differences between the original and the Netflix version. The UK theme is great BTW. Upbeat, lots of pomp and circumstance. I had more fun watching Ian Richardson than Spacey. I could tell Richardson was having a lot of fun with the character, and at no point did I dislike him (even with all the bad stuff he was doing). Spacey's Underwood had me greatly disliking the character at points, and at other points I was just ready to give up and turn it off. Underwood has no meaningful ideology or purpose beyond the acquisition of power. Something I noticed once I had watched the UK version. Urquhart had an agenda, things he wanted to accomplish, goals, a vision for his country. Frank Underwood? Well, he just wanted the power. We'll see what he does with it in season three, at this point he could install an Orwellian dictatorship, it's that up in the air. Thanks for the in-depth responses guys. I should really finish watching the whole of the original trilogy of miniseries. I liked what I saw but I had just finished the first season of the US show at the time and didn't really want to jump into another series just then. But I'm intrigued by the original. Its well worth the effort. Though to enjoy series 2 fully you need a working knowledge of the royal family, as it was at the time to get both all the observations, humour, and just how scandalous it is, and some grasp of the way monarchy works in a constitutional democracy. I am sure you could follow it fine without that, but you would probably miss some of the nuances. I know a fair bit about the British political system and like many Americans I've gone through my periods of infatuation with the royal family. Dunno if I'll pick up on all the references to specific early '90s events though. yep. Henry is showing his claws. he was quite scary. I went to school with Joanne Whalley she was two years above me, and she was a small but deadly little madam. She beat me up in the local youth club. Its funny when she always says she is 48 in publicity. yeah right Joanne. dream on. Mrs Figg friend to the stars and provider of dicreete eel wrangling services. I had never really watched any of Top Gear before. So this last week, while sick in a hotel bedroom down south, I tried out a couple episodes; it was quite enjoyable! A little dorky sometimes, but entertaining nevertheless. When it comes down to it, the three guys on the show are just much more likable than most of the idiots that pop up in reality tv-shows and the like. Yeah I have no interest in cars and petrol heads, but I watch Top Gear, its just so damn entertaining. If you can get hold of it get the episode where they drive through America to the deep south- its hilarious. "In certain parts of America, people have started to mate with vegetables." Heard about these episodes, never quite tracked them down in netflix. They do have a habit of upsetting the locals! Recently they did a special in Argentina but hadn't noticed one of the number plates was H982 FKL. Which a section of the Argentinian population took to be a reference to the Falklands War of 1982. I remember hearing about that one. I actually believe them that the number plate was unintentional. When the Top Gear guys want to offend people they don't exactly try to be subtle. I watch Top Gear & I dont even drive. Its the banter & rapport these guys have with each other Its addictive ! I like it when they prank each other on journeys, & the things that happen to them, mostly with Richard Hammond & James May ! And the final state of the cars is funny. either fallen well & truly to pieces or super glued back together ! I think they went down a similar path Car Talk did in the US: at first they were a straight ahead car show - then things began to diverge. Now the cars themselves are only about 30% of the story, if even that. I've watched a lot of TV shows, especially over the past several years. The Simpsons introduced me to a lot of comedy tropes and pop culture references. The Wire was one of the first "serious" shows I watched and left a lasting impact on me. Sherlock thrilled me to no end and also inspired the first story I ever wrote to completion. Game of Thrones went a long way towards taking the sting off the disappointment of The Hobbit movies. But before any of those, or any of the other great shows I have watched, there was only one. The first show I ever fell in love with. The first show that made me call myself a fan of something TV-related that wasn't sports. 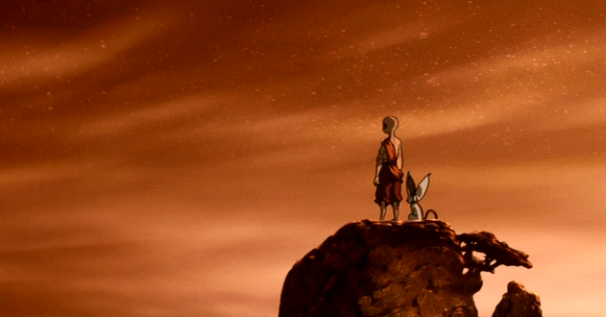 That show was Avatar: The Last Airbender. Now I know what a lot of you are probably thinking (except Tinuviel, who I know has seen it because she tried to warn me about the movie). "Really Eldo, you're gonna start talking about anime again?" Well, not exactly. Avatar did indirectly trigger my interest in anime, and it was certainly influenced by the artstyle, but it's an American/Korean production that aired on Nickelodeon (better known as the home of SpongeBob SquarePants). Ten years ago today, this show premiered on Nick, which has produced a good deal of successful animated programming but whose name is pretty much synonymous with comedy. However, Nick was in the market for a fantasy adventure to "answer" the popularity of HP and LOTR in the early 2000s, and ultimately that lead to two first-time showrunners who had worked their way up the ranks of the animation industry creating this incredibly unlikely show and then -- even more incredibly -- actually seeing it to completion on its own terms, after telling a story that had been planned from the very beginning of production. 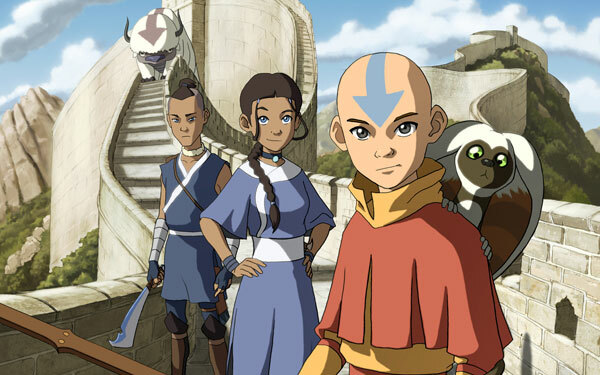 In fact, I still maintain that Avatar is the greatest epic fantasy story ever told through the medium of television (which isn't quite as impressive as it sounds since both epic fantasy and television as we know them are less than 70 years old, but still). Game of Thrones might one day surpass it, but they still have the back half of their story to get through. For now, Avatar remains king. The show is set in a fantasy world divided into four nations (technically more than that, as you see throughout the show's run), each of which has an affinity for one of the classical four elements. This is the foundation of the show's magic system, such as it is, which is actually more about martial arts than anything else. The showrunners based the characteristic fighting styles of each nation on four different traditions within Chinese martial arts, and it is through these martial arts that the "benders" in each nation (keep it to yourselves, Brits) manipulate their respective elements. One individual each generation, the Avatar, is able to control all four elements and is tasked with maintaining harmony in the world and with the spiritual realm. 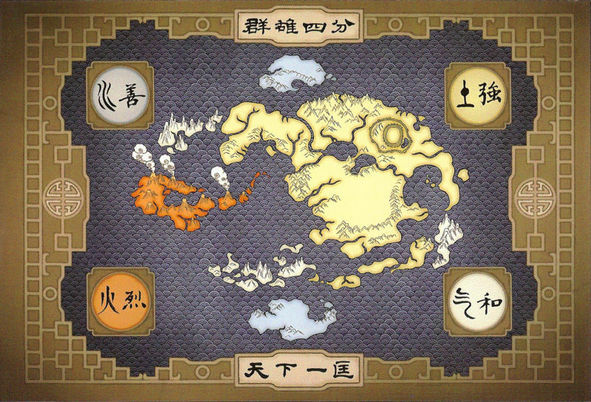 However, the Avatar disappeared 100 years before the time of the show, just as the Fire Nation was beginning a war of imperialistic expansion at the expense of the other three. That's the very basic premise. The show relies on a number of fairly generic fantasy tropes to get started, but the success or failure of any story lies in the execution. And boy, does Avatar execute. The way they solve the classic "why does this guy who started off in the sticks become so important and get to hobnob with rulers from all over the world?" problem in fantasy is nothing short of ingenious; up there with the plot device of the Ring in LOTR. The characters are fantastically well-written and while the plot has clear good and evil sides, the characterization frequently defies such simple classification. The show manages to expertly blend episodic and serialized storytelling, as well as comedy and drama. With the exception of a few iffy episodes in the first half of the first season when they were finding their feet (and still learning how far they could push the boundaries of a children's cartoon), the show is up there with any other classic all-ages fantasy, including The Hobbit, the early HP books, and Narnia. The artwork is beautiful, the animation is fluid (especially the action scenes), and the music is great (getting even better in each season). The only reason I don't recommend this show more often is because the fact that it's animated and for kids puts some people off. I firmly believe that this is the only reason why it isn't given its due by fantasy fans in the same way it is by cartoon fans, although the show seems to raise its profile slightly ever year, so this is changing slowly. Not that the show was unpopular when it was airing, but it keeps coming to the attention of more and more teen and adult fans who don't usually watch cartoons. It's a wonderful show. I'm under no illusions about winning lots of converts here, but if anyone does feel moved to try it, I do have one bit of advice. Watch the first four episodes, but if you find those or some of the ones immediately after them to be too juvenile for your taste, skip ahead to episodes 12 and 13. If those don't sell you on the show, it's probably not for you. Which is totally fine, of course. But that's where the show first demonstrates its greater sense of purpose and has been a turning point for a lot of viewers I know. Anyway, thanks to everyone who read through this whole post. 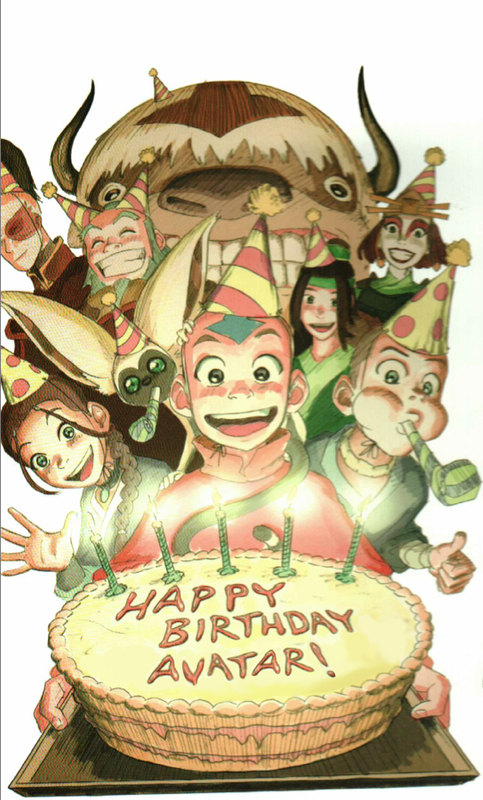 Avatar is a fannish passion of mine rivaled by only a handful of other stories, and I wanted to share some of my excitement with you guys on the occasion of its 10th anniversary. Pettytyrant101 wrote: They do have a habit of upsetting the locals! That was one of the episodes I watched. They rather hilariously spoofed that in the following episode set in Australia. They took the completely innocent license-plate tags and made them into politically insensitive references to the royal family or some such. The generic BMW-0001 became "Bloody Mrs. Windsor!"